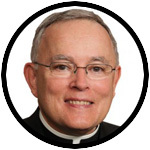 This week’s column is adapted from remarks by Archbishop Chaput at the University of Pennsylvania’s Hillel Center on November 30. The Archbishop took part in the public release of a report by Penn’s Program for Research on Religion and Urban Civil Society on the economic impact of Catholic ministries in the Greater Philadelphia region. The event was co-sponsored by Penn’s Collegium Institute for Catholic Thought and Culture. See the full report here. I want to thank Mr. Joseph Tierney of the Fox Leadership Program for the great work he’s done on the report we’ll talk about in this session. The report is being released through Penn’s Program for Research on Religion and Urban Civil Society, and I hope it will spark similar studies in other urban areas. We’re living through a time of tension and deep division in our country. It’s easy to become cynical. Today’s data remind us that a lot of good is also being done, every day. It’s being done by ordinary people who don’t make the headlines, but who do make a big difference in the lives of thousands of our region’s young persons and people in need. As Mr. Tierney’s study shows, the positive economic impact of Catholic ministries on the Greater Philadelphia region is about $4.2 billion annually. We can compare that to the City of Philadelphia’s $4 billion General Fund Budget for FY 2016. That’s a lot of impact. It includes the various education and social welfare efforts directly linked to the Archdiocese of Philadelphia and its 200+ parishes. And it also includes the region’s many independent Catholic non-profits: hospitals, universities and similar institutions. Of course, and even more importantly, the positive human impact of all these ministries – in terms of the formation of moral character, the creation of opportunities and the transmission of hope – is beyond measuring. The lesson is this: Faith matters. Religious conviction always has consequences. If we really believe that God exists, then nothing is more important than that fact. The more deeply we encounter God, the more profoundly he reorders our thinking, our actions and our entire lives. As a consequence, real faith is always personal but never private. It naturally seeks public expression. And this is why organized works of mercy and charity in every religious tradition – Jewish, Christian or Muslim – have such a disproportionately fruitful effect. The evidence is in the data. Doing good things in the name of the government isn’t quite the same as doing good things in the name of God. The two paths aren’t mutually exclusive, of course. Plenty of very good people work in secular service organizations. But I do think that explicitly religious forms of social service, at their best, have God as a kind of “force multiplier,” and also as an on-going judge of their honesty and stewardship. Some social scientists tend to regard religion as an invention or projection of the human need for meaning. But what that says to the sincere Christian believer is that some social scientists haven’t yet met God. The Collegium Institute, whose work I greatly admire, is itself an example of Catholic men and women living their Christian faith by using their talents in service to the wider public. In this case, that means the cultural and intellectual life of the Penn academic community, which clearly has an impact well beyond Philadelphia. In like manner, every other form of Catholic ministry in Philadelphia named in today’s report began with the same impulse: to put into practice the words of Jesus Christ and the demands of the Gospel. Catholic social service is fruitful precisely because it’s never simply “humanitarian.” Rather, it’s a very concrete and particular expression of our faith. We offer our help to persons in need without strings attached, but always with a deeper religious purpose. Our ministries don’t exist to proselytize, because that kind of approach to social service is simply a form of coercion. It would demean the people we’re trying to serve. Proselytism dressed up as charity and service robs vulnerable people of their freedom. But our education and social welfare ministries do very much exist to witness to the mercy of Jesus Christ and to demonstrate our love for God. They’re statements of what we believe, incarnated through our actions. As a result, no “Catholic” social service or education effort is effectively pursued or sustained without a strong Catholic identity and religious sense of mission. Obviously many aspects of Catholic social work can be shared by all people of good will. Catholic social ministries should and do welcome opportunities to work with other individuals, groups and social agencies. The challenge, of course, is that cooperation can sometimes run the risk of turning Catholic organizations into sub-contractors for donors, foundations and public agencies with very different anthropologies and thus very different notions of authentic human development. That can compromise both the purpose and the effectiveness of Catholic social work. So in Philadelphia our focus is very much on protecting and deepening the Catholic identity of our ministries, not only for our own sake, but to ensure the continuing value of our work for the common good. Today’s report shows how significant the Catholic contribution to the common good of Philadelphians has been. I’m grateful and proud that the Church has played that role so well in our common life for so many decades. How about the results that happen from the example we give. I am thinking of St. Charles Borromeo school. Those kids have to see how they are blessed by God. It is bound to have an effection them in the future life. I love being Catholic and having a Bishop and Pope who I can turn to for advice. We know that Christ fed the poor, but He also preached. Did he separate the two? I was sorry I had to miss your presentation in person, your Grace. Thanks for sharing your insights with us here and I am grateful to the Collegium and other Institutions willing to investigate the bigger questions regarding what constitutes authentic human good. Amen and thank you Archbishop Chaput and collegium institute for your leadership! Thanks for another great message for us to take home. Another wonderful, insightful presentation Abhp. Chaput! Another reason I am glad to be Catholic, since our social teaching forms a coherent whole. I’m a big fan. That is why I occasionally raise this question, in one form or another: Your same framework could be a motif for our Bishops taking new, courageous, radical yet orthodox, long term strategic action to strengthen marriage as per Familiaris consortio, nos. 65, 70,71. If we can show that our teachings on marriage and sexuality are truly life-giving – by raising up what Pope Francis calls “credible witnesses,” we show the impact – economic as well as spiritual- on the common good. The USCCB recently asserted that one of its 5 priorities is “Family and marriage: Encourage and heal families; inspire Catholics to embrace the sacrament of matrimony.” This statement lacks specificity. Similar priorities have been published since 1978. How will this be different? Or will a future pope have to call another Synod on the family, as did Francis 35 years after St. John Paul’s synod, whose prescription for action (c.f. FC no. 65) was largely ignored by bishops and pastors? Forgive my cynicism. But I believe marriage renewal – the OTHER vocation in service to communion – is the key to the future of the Church.